Senior Software Development Engineer - Seaport, Boston-MA. We are looking for both Windows and Linux developers to design and build functionality on a new product FSx for Windows that launched at re:Invent 2018. Come join the Amazon Web Services (AWS) engineering team in our new Boston Seaport location overlooking the Fort Point channel as we revolutionize the world of cloud storage. Amazon Web Services (AWS) is a dynamic and rapidly growing business within Amazon, with over a million active customers in 190 countries around the world. AWS has been continually expanding its services to support virtually any cloud workload, and it now has more than 90 services that range from compute, storage, networking, database, analytics, application services, deployment, management, developer, mobile, Internet of Things (IoT), Artificial Intelligence (AI), security, hybrid and enterprise applications. We maintain this rapid pace of innovation by treating each team like its own startup inside AWS, directly accountable for their customers’ satisfaction, service innovations, ambitious growth, and meeting revenue goals. As a Senior Software Engineer in this office, you will design and build a service that is secure, reliable, and scalable. Delivering a reliable and high-performance service at AWS scale requires engineers with extraordinary technical expertise and boundless creativity. 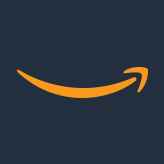 At Amazon, we expect engineers like you to interact with customers, to understand our business goals, to innovate rapidly, and to drive the delivery of high-quality and ground-breaking functionality. Embark on a journey with us to build new offerings for Amazon AWS. We need your passion, innovative ideas, and creativity to help build this exciting new service for Amazon. This is an opportunity to shape the future of a new service at Amazon scale with a team that is super smart, driven to serve customers, and fun to work with in a start-up like environment. Apply online or reach out to taranav@amazon.com to know more.